Here we take a look at statement made by Thomas Seymour to his keeper, Christopher Eyre during the time that Eyre was his keeper after his arrest. 16 February 1548 – Upon communication of the Lord Admiral with his keeper Christopher Eyre. Christopher Eyre was responsible to report the demeanor of Seymour and any statements he may have made to him and to assess his loyalty to the King and his succession. The last week on divers times, the Lord Admiral said, that he was in good hope, that upon Friday he should come to his answer; for on the Friday, sayeth he, the Lords do not sit in Parliament; and therefore then they will come, or send to me; if not, Saturday or Sunday; so that then I shall know somewhat of their minds towards me; if that day past then I have no hope till Friday come again. On the Friday, this examinate (Christopher Eyre) sayeth the Lord Admiral was very sad. And that he said he was very sorry to see his lordship so sad; And he answered that he thought as that day to have heard somewhat from my Lord’s Grace and the Council; now he seeth the contrary. And he said, I had thought before I came to this place that my Lord’s Grace, with all the rest of the Council, had been my friends, and that I had had as many friends, as any man within the realm; but now I think they have forgotten me. Then he asked this examinate (Eyre), what the matter was why he was here. And this examinate (Eyre) answered he could not tell; and asked him, (which he knew not,) saying do not you know, my Lord? No by my trueth quoth he, for I cannot judge myself of an evil thought, never since last Parliament: And I am sure of this, that as concerning the King, there was never poor knave truer to his Prince than I am, and to all his succession, both my Lady Mary and my Lady Elizabeth. And as for my Lord my brother, I never meant evil thought to him. Mary, this, before she last Parliament, I thought that I might have the King’s Majesty in my custody, with the consent of the Lords and Commons of the Parliament: And to say that ever I went about to take the King, from my Lord my brother by force; I never meant nor thought it. For Eyre, quoth he, if there be any man in all England to accuse me, that I should be a false knave to the King or his succession, or to the realm. I will wish no life. For if I had, I thought the stones will rise against me. On the Sunday at dinner, this examinate (Eyre) bringing him meat, the Lord Admiral seemed more cheerful then he was before; whereupon this examinate (Eyre) said, I am glad my Lord to see you of better cheer and more merry, then you were won’t before, for this morning you would eat no bread: It is true, says the Admiral, for I would not have eaten indeed, if my Lords had not come, for I should have no stomach; but now I trust, my Lords went away pleased with my answer. 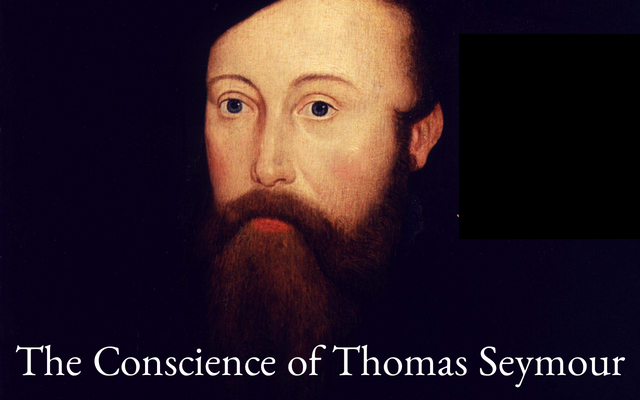 From reading the testimony from the keeper of Thomas Seymour, after his arrest, he makes Thomas Seymour seem innocent and concerned of his future. The fact that Christopher Eyre was meant to keep an eye on Thomas Seymour would, in my opinion, mean that he was looking for evidence to use against him when he spoke. This testimony does not show a man who knows why he was imprisoned and seems to think that his friends (the many he had) had turned against him. This, is also evident in the testimony of his so-called friends. When you read the above testimony do you get the impression that Thomas Seymour believed he deserved to be imprisoned? What is your take on Eyre’s quotes from the Lord Admiral? I still think he sounds like he is much lamenting the situation he is in and hopes not to die, but if someone thinks he would wish ill of the King than he would wish death. Think about that. Why do you think he went to see the King that night? Do you think he actually killed the dog or was he setup and framed for it?